When high-end electronics brand Band & Olufsen designed its new acoustic research laboratory, it chose to equip it with Genelec’s SAM active monitors. 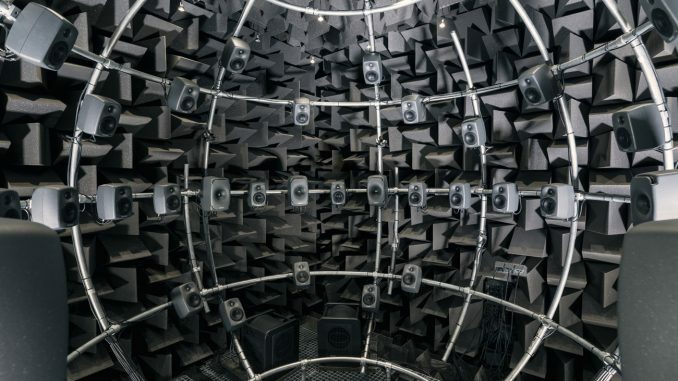 The laboratory is being used for hyper-accurate simulations of what loudspeakers sound like in any given environment. The test rig comprises a sphere of loudspeakers arranged around a 3 metre-diameter frame located in an anechoic chamber. The loudspeaker array comprises a network of 44 Genelec monitors, of which 35 are 8320 monitors and five are 8331 three-way coaxial monitors, while the remaining four are 7050 subwoofers. The spherical array is used to create instantly recallable sound fields featuring anything from basic two-channel stereo and 5.1 surround to 22.2 channel surround sound. The unique facility allows researchers to experience the exact acoustics presented by spaces as varied as concert halls, car interiors and domestic living rooms. The laboratory was created by B&O to quantify and analyse reverberation, including the way it interacts with reflective surfaces, and its impact on the listening experience. The researchers hope to find out whether it’s possible to compensate for reverberation effects. According to Dr Neo Kaplanis, lead scientist at B&O, it’s common knowledge that the same loudspeakers will sound different in different rooms. “But we just didn’t know what was different,” he says. Kaplanis developed a recording technique that captures the acoustic fingerprint of an acoustic space. A bespoke computer programme then uses the fingerprint to recreate the acoustic environment inside the sphere. This allows the listener in the sphere to switch between either the same loudspeakers in different ‘rooms’, or the same room with different loudspeakers, he explains. 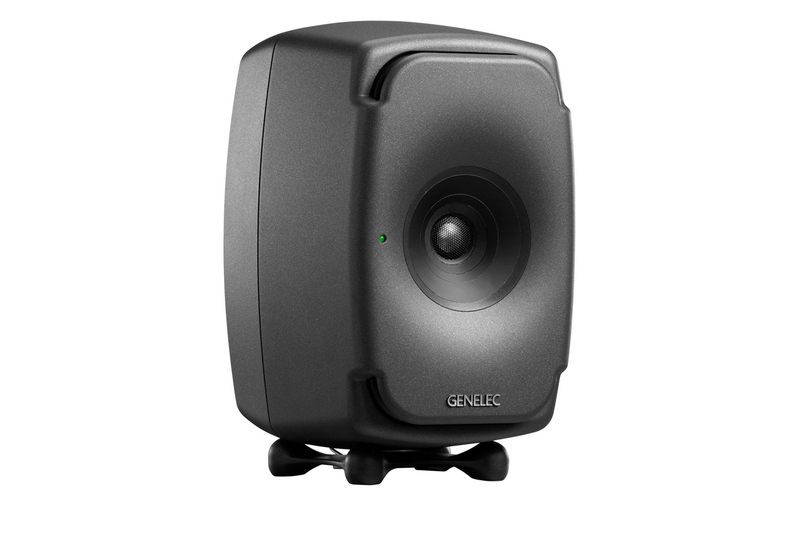 The Genelec speakers were chosen because of their transparency, accuracy and point-source radiation. The monitors are also compact and lightweight, making them easy to position in the sphere. 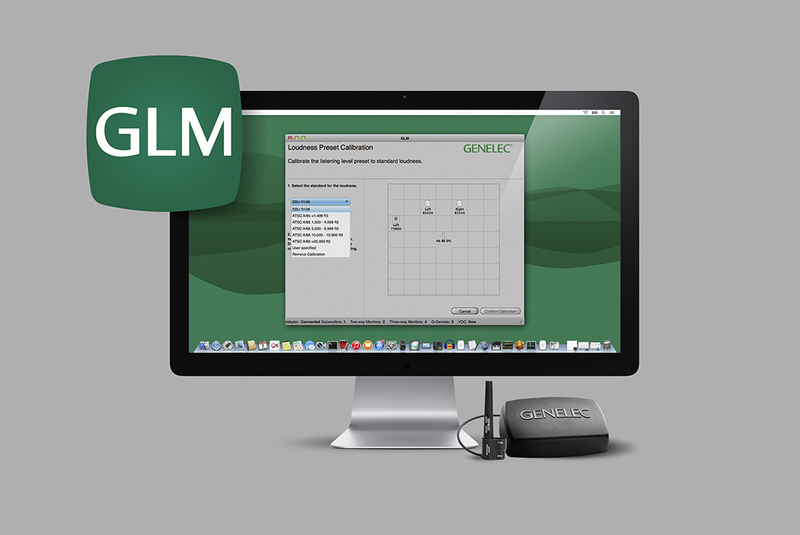 Genelec’s own GLM software also plays a key role, as it allows the research team to update filters, select and mute individual monitors, group certain speakers, and control the volume of all speakers simultaneously. The collaboration between Genelec and B&O is long-standing, according to Søren Bech, B&O Director of Research.